Polarized lenses reduce glare on water, pavement, and other reflective surfaces by filtering light coming from different angles. These special lenses make colors and objects appear clearer, so you can see every detail of the open road, golf course, or mountain trail ahead. Check out our polarization guide for everything you need to know! But not every pair of sunglasses is polarized! Trying to determine if your shades are polarized? We’ll show you one quick and easy method to learn if your sunglasses are polarized. Check out the video below. Not in front of a computer screen? 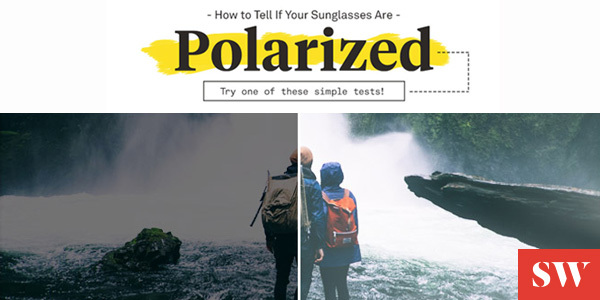 Use our infographic for a few more ways to quickly determine if your sunglasses are polarized.